Last night i was out in my garden staring at the moon. I often do this to relax after a hard days work watching the sun. 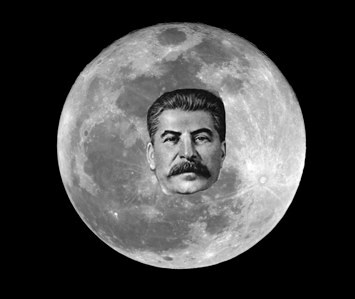 Imagine my surprise when i saw the face of former Soviet leader, Joseph Stalin, appear on the surface of our nearest celestial neighbour. Luckily i had my camera with me at the time (i was testing whether the flash would improve the growth rate of my lawn) and managed to get a shot off and capture this cosmological phenomena. It's not too clear but if you look very closely you can see the hero of Stalingrad and Pearl Harbor splashed like german blood across the sea of tranquility. Anyways, what i am asking for is some money for a telescope that has a picture taking function. It shouldn't cost much-say 20.000 and then we could get to the bottom of this baffling lunar mystery. My cat, a 7 year old ginger tom named Horatio, told me last night that he had discovered the secret to cold fusion. He was a bit vague about the details but began singing ‘Cocacabana’ by Barry Manilow and attempted to type in this website’s address on my iphone. 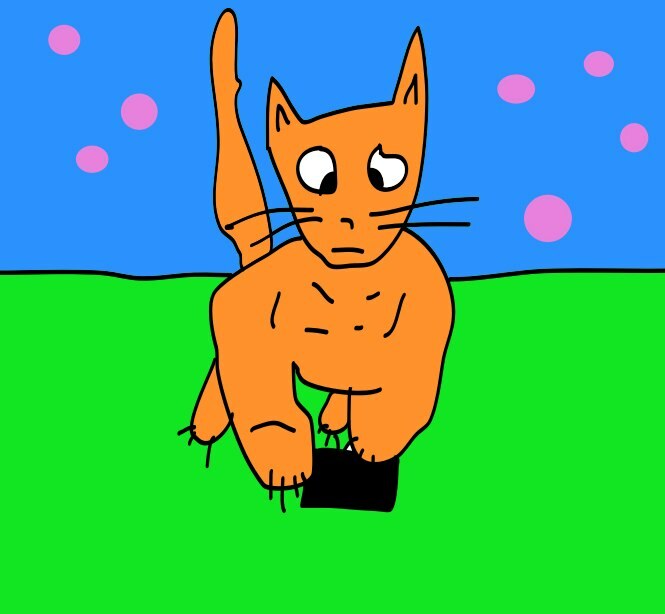 As you no doubt are aware the iphone’s screen isn’t very receptive to cat paws, so I need you to send funds for a laptop so he can begin his work. I have a 1997 Land Rover Discovery that just broke down and no longer works and cost way too much money to fix. I am now forced to fight the elements like this morning in the ice cold wind by riding my bike to work. To make matters worse awhile back I was hit by a car while riding my bike and the front wheel of my bike got bent so now I have to pedal a little harder than usual. All I'm asking for is $2993.00 to purchase a 1995 Acura Legend so I no longer have to ride my broken bike and fight the Las Vegas Nevada desert elements. Can you please help me Barry?